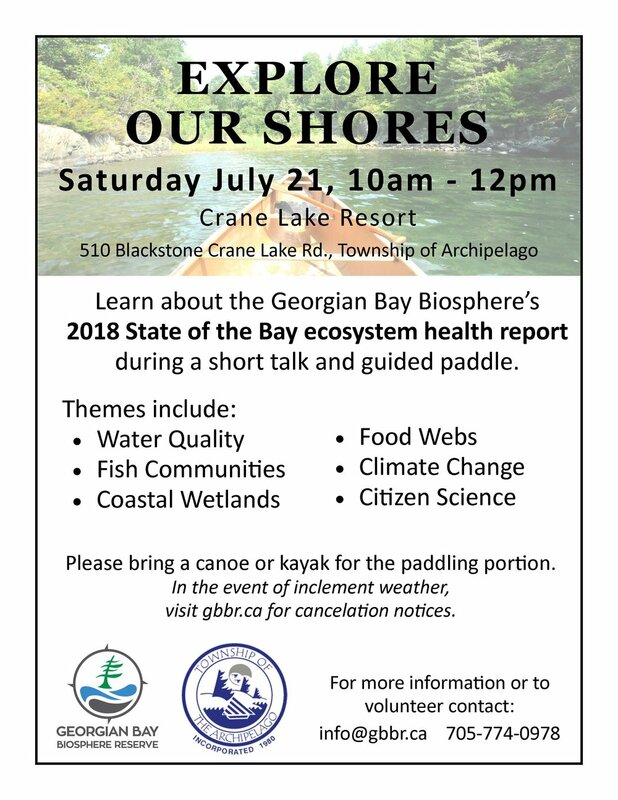 Join us for a guided paddle on Crane Lake, as the Georgian Bay Biosphere teaches us about their State of the Bay Ecosystem Health Report and how it impacts our lakes. While we paddle, learn about water quality, fish communities, coastal wetlands, food webs, climate change, and citizen science. Please bring a canoe or kayak for the paddle! We will gather at the Crane Lake Resort, near the Fire Boat. If the weather changes, visit www.gbbr.ca for cancellation notices.